One's birthday comes only once a year. 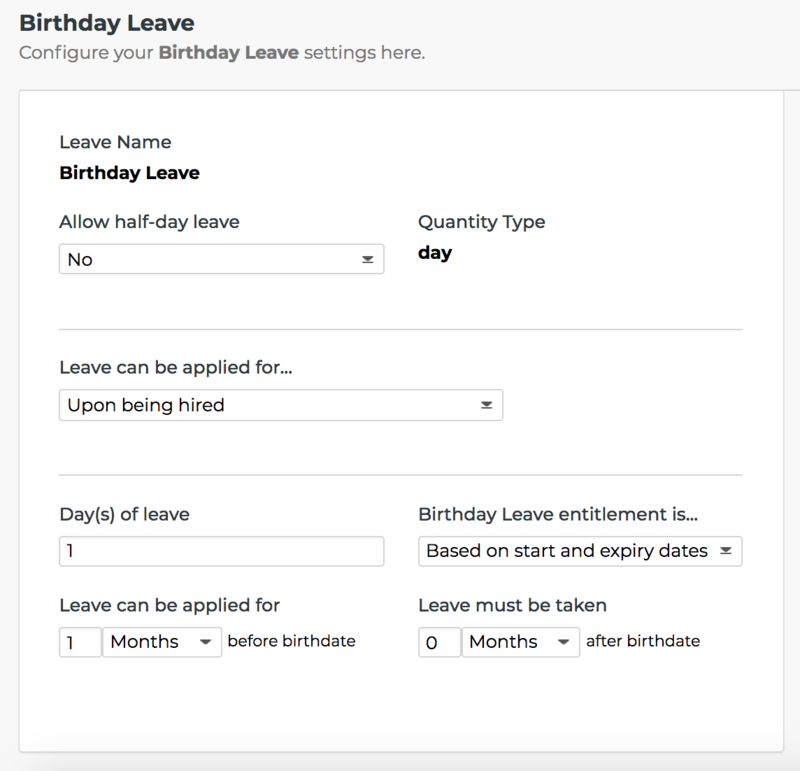 By default in Talenox, not all employees are entitled to Birthday Leave when they first join a company. To ensure your employee is eligible for this leave type, you will need to key in his/her birthdate in their Employee Profile. 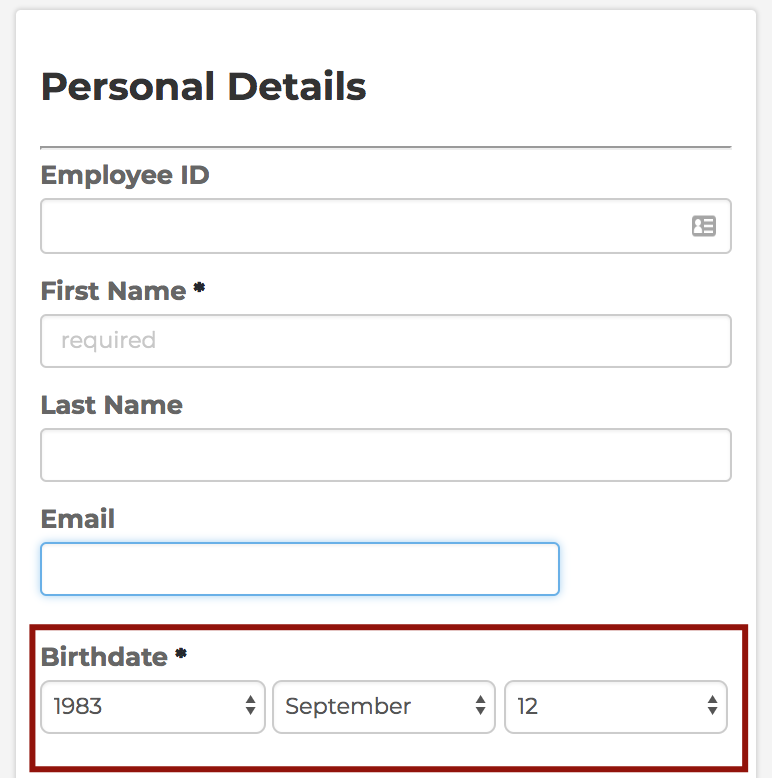 If you are unable to see Birthday Leave in the Leave Settings page, proceed to Add a custom leave type field and add Birthday Leave from the drop-down list.